This variety is a double winner in the Cannabis Cup in 2003 and 2014. It consists of 80% Indica and 20% Ruderalis pri14-five percentage of THC. Its use leads to a pleasant feeling of relaxation and mood enhancement. In adulthood, the bush can reach 60-70 cm., Making it convenient enough to grow up in the box, although the open space of the plant is quite resistant to external influences, mold and pests. 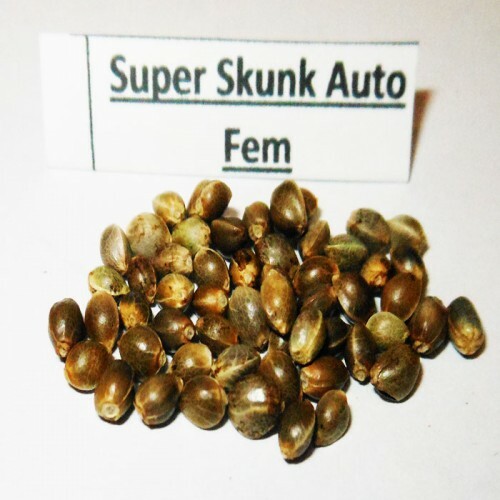 Easy care gives the opportunity to grow Auto Super Skunk feminised, even for beginners. The harvest is 350-600 g / m2 solids.